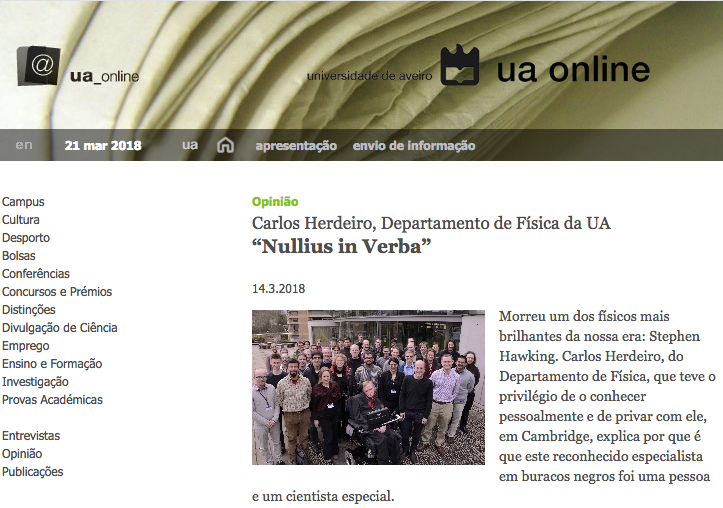 The University of Aveiro and Gr@v join the many worldwide tributes to the life and work of Stephen Hawking. As a small contribution, the U. Aveiro asked Gr@v member C. Herdeiro to write an article for its online news that can be found here. A video statement can be found here (both in Portuguese).